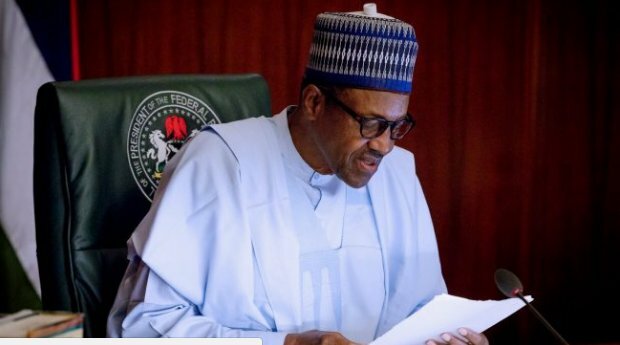 President Muhammadu Buhari will, on Wednesday, signed the 2018 budget into law, this is even as this week’s Federal Executive Council (FEC) has been put off. Findings revealed that the budget will be signed at 11:00am on Wednesday. The Special Adviser to the President on Media and Publicity, Femi Adesina, had last week disclosed to State House Correspondents while briefing on the outcomes of FEC meeting that the 2018 Appropriation Biill of N9.1 trillion will be assented to by President Buhari this week. Adesina had said the particular date will be made public before the signing date. Minister of Budget and National Planning, Udoma Udo Udoma, had two weeks back explained that the President was still studying the budget in great details, hence the delay in giving his assent. Both chambers of the Assembly had on May 16, 2018 approved the budget estimates submitted by Buhari on November 7, 2017. The lawmakers also raised the total figure from N8.6 trillion to N9.1 trillion, six months after it was presented. Meanwhile, this week’s FEC meeting will not hold due to the public holiday delayed by the federal government to celebrate the Sallah, marking the end of the Ramadan month. This is the fifth time the FEC meeting would be put off in the life of Buhari’s administration. The last time the meeting was put off was Wednesday, April 4th due to the public holiday declared on March 30th and Monday, April 2nd because of the Easter celebration. The fourth time the FEC meeting was put off was Wednesday, February 28, 2018, and Adesina, in a statement had explained it was as a result of the participation of President Buhari and a significant number of ministers at the High-Level Meeting of the International Conference on Lake Chad Basin, at the Transcorp Hilton Hotel, Abuja, for the better part of that day. On August 23rd, 2017, the FEC meeting which was supposed to be President Buhari’s first after his 103-day medical vacation, did not hold. This was to allow the Investigative Committee headed by the Vice President, Prof. Yemi Osinbajo, on allegations against the suspended Secretary to the Government of the Federation, SGF, Babachir Lawal, and Director-General of National Intelligence Agency (NIA) to present its report to President Buhari. The FEC meeting of September 6, 2017, was also cancelled due to what the Minister of Information and Culture, Lai Mohammed, said was inadequate time to prepare the documents for the meeting. The two day public holiday declared for the Eid-el-Kabir celebrations, he said had left little or no time to prepare for the weekly meeting.